DentalPlans.com provides a hassle-free way to find a dentist in Torrance, CA and save on Periodontics and more. Just enter your ZIP code to review the leading discount dental plans and participating dentists available in Torrance, CA. Decide on the right plan for your needs and save on your dental care bills at dentists such as Dr. Bertina C Yuen. Then, just go see Dr. Bertina C Yuen or any other participating dentist in Torrance, CA to get discounts on Periodontics and more. We feature more than 30 discount dental plans that will save you money with dental care discounts on services like Periodontics. 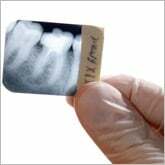 Our vast dentist database has many general dentists, family dentists and dental care specialists like prosthodontists, endodontists, and pedodontists. So if you require getting cavities filled, orthodontics, dental implants, or any other dental care treatments, you can easily search our huge dentist directory to find Torrance dentists that offer discounts on Periodontics and more.